Remarkable shorelines, shimmering water, and expertly-crafted sailboats are just some of the things you can find in the Chesapeake Bay region. If you’re looking for an incredible experience, we highly recommend visiting our area. Start looking forward to the variety of things to do on the Chesapeake Bay from fishing and swimming to sailing and more. We have all the information you need to have an incredible time along the coast! 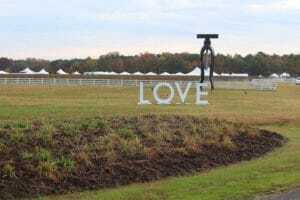 There are so many things to do on the Chesapeake Bay, and you can find several excellent activities right here in Irvington, VA. Our local area provides everything you need for romance, relaxation, and rejuvenation. If it’s excitement you’re looking for, we have that, too! Request your free Vacation Guide to Irvington, VA, now! It’s filled with useful information including local tips and our suggestions for activities and attractions. Take a moment to get your guide now and start an unforgettable trip! Are you a wine connoisseur or simply want to enjoy exquisite tastings while journeying along the Bay? 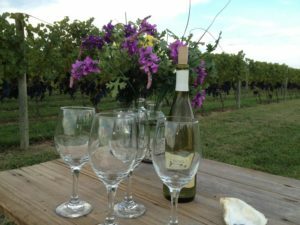 The Chesapeake Bay Wine Trail is for you! This trail includes eight top-rated wineries throughout the region, including our very own Dog and Oyster Vineyard, just a short walk from our inn. We have several medal-winning wines in America’s biggest competitions, and we’d love for you to visit our tasting room, SIP, to try some of them. Be sure to check out Good Luck Cellars and Ingleside Vineyards for excellent tastings and tours along the Trail. Check out our Vineyard Gallery for an inside look at our tasting room, award-winning wines, and oyster stand! With 200 miles of water and almost 12,000 miles of shoreline, the Chesapeake Bay provides numerous waterfront spots for visitors to enjoy. Feel free to swim along protected shores of the Chesapeake largely unchanged for centuries. Also, In the Irvington area, we highly recommend Hughlett Point Natural Area Preserve. It’s a fantastic shoreline destination just a short drive from the Hope & Glory Inn and Vineyard. Hughlett Point offers a serene atmosphere for hikes, picnics, and bird watching. You may even spot an osprey or a bald eagle! After a day of exploration, return to the comfort of our bed and breakfast and grab a drink from The Detention Bar. We’d love to hear about your adventures! The Hope and Glory Inn truly has everything you need for an exceptional vacation, and that includes water activities! As our guest, you’re always welcome to take full advantage of our on-site saltwater pool. Sit poolside and bask in the sunlight with a refreshing beverage from Detention, listen to the water cascade from the fountains, and go for a swim to cool off on warm, summer days. Tranquil is an understatement when it comes to describing the atmosphere here! Step aboard our boat, True Love, for a cruise on Carter Creek. 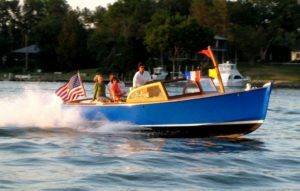 It’s a Downeast-style Fortier 26, offering smooth rides for up to six passengers. We take you through various coves and a short section of the Rappahannock River. View waterfront homes and native wildlife while enjoying the crisp evening air. Sit back, relax, and indulge in refreshments including our award-winning wine, cheeses, and crackers. It’s the perfect way to spend a romantic evening in the Northern Neck of the Chesapeake Bay. Keep in mind that, if you’d like, you can bring your kayak and conveniently launch just down the street from us! If you’re visiting the Northern Neck of the Chesapeake Bay, set time aside to enjoy some of the freshest seafood in the country. Local restaurants pride themselves in serving incredible bay-to-table meals to please any visitor. Especially delectable are the oysters from the Bay, Rappahannock River, and Potomac River. Bring your appetite and enjoy these unbelievably delicious bivalves at some of our favorite spots. The restaurants listed below are all winners of Virginia Living magazine’s Best Oyster Award! SLURP: When you stay with us at the Hope and Glory Inn, you’re just a short walk away from tasty oysters. Stop by our oyster stand at The Dog & Oyster Vineyard for fresh oysters on the half shell, roasted oysters, golden-fried Chesapeake oysters, and more! Merroir: Rappahannock Oyster Co. brings in some incredible oyster harvests, and serve them at restaurants in the area. If you’d like to try them, check out Merroir in Topping, VA. This self-proclaimed “tasting room” offers small plates of oysters paired with craft beer and wines. The Tides Inn: If you want to pair your meal with remarkable waterfront views, head to The Tides Inn. Here, you can choose from multiple restaurants with expert chefs ready to exceed your expectations with delicious creations. Relish Restaurant & Wine Bar: Although their hours are limited to Wednesday through Saturday, we highly recommend visiting the Relish Restaurant & Wine Bar when you get the chance. Try their oyster po’ boy bites and locally-sourced, seasonal wines! Denson’s Grocery: You can get much more than oysters at this unique, family-owned grocery store. If you need to pick up a few things, it’s the perfect excuse to stop by their oyster bar and restaurant! Willaby’s Café: Less than ten minutes from our inn is Willaby’s Café. They offer excellent catering service, but you’re welcome to head over and sit down for brunch, lunch, and dinner. Urbanna Seafood and Raw Bar: For superb dining in a waterside setting, grab a table at Urbanna Seafood and Raw Bar. No matter which table you choose, you’re guaranteed to have a beautiful view of the water! No experience quite compares to sailing along the Chesapeake Bay — sun shining, wind in your hair, and glistening water. 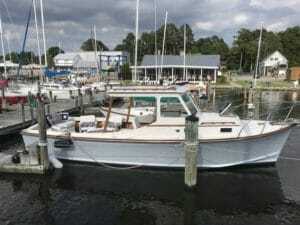 If you want to enjoy this for yourself, there are some excellent sailboat charters on the Chesapeake Bay! 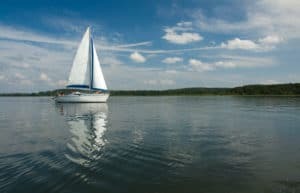 Premier Sailing is just five minutes from the Hope and Glory Inn and is one of the most trusted companies in the area. Are you new to sailing and want to learn the techniques? Premier has expert instructors who can show you the ropes. They have fun and educational courses for both adults and children. If you’re already an experienced sailor, feel free to charter one of their boats. They offer charters for sailing practice and sunset cruises, both with a skipper on board to assist as necessary. 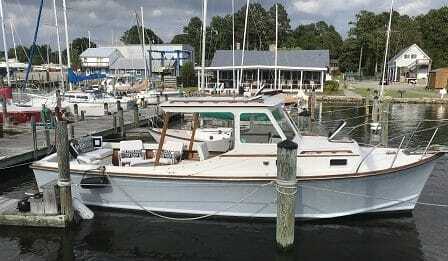 Sailboat charters from Norton Yachts in Deltaville are excellent options if you want to take to the sea in style. They are just over the Rappahannock River to the south of our inn. Their sailing school is American Sailing Association (ASA) certified, so you know you’re in good hands with their instructors. You can jump right into the experience and learn from hands-on activities since most of the training happens on the water. You can also charter one their boats from a fleet of like-new models. Simply select the style you prefer and head out onto the open water! Rates are affordable, and you can rent your boat for up to seven days. When Is the Best Time to Visit Virginia’s Chesapeake Bay Region? Now, you have a good sense of what you can experience when you visit Virginia’s Chesapeake Bay. Are you wondering what time of year is ideal for your vacation? If you’re up for an exciting, spur-of-the-moment road trip, pack your bags and head over this weekend! 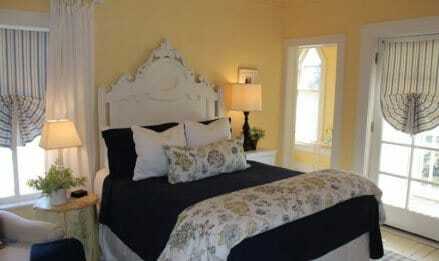 You’re always welcome to stay in one of our luxurious guest rooms at the Hope & Glory Inn and Vineyard in Irvington, VA! You’re sure to have an incredible experience no matter what time of year you decide to come. However, if you like to plan your trip more in advance, we’re happy to help with that, too! Request your free, digital Vacation Guide now to discover the best year-round activities and attractions! We even included insider tips and recommendations to help you navigate the area like a local. Read on to get an insider look at what you can expect during each season here. Each season in the Northern Neck of the Chesapeake Bay is more beautiful than the last, and springtime sets the bar incredibly high. The whole environment seems to come alive. Birdwatchers and nature lovers should be sure to visit. Spring is also the opportune time to go on a romantic getaway. We’re known as one of the most romantic areas in the country, and you don’t have to take our word for it. Come and experience it for yourself! 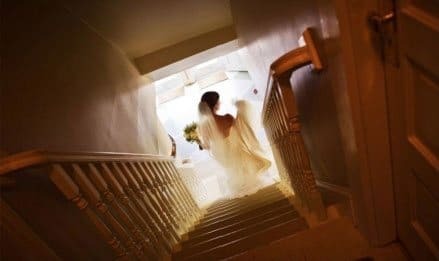 If you’re feeling the love in the air, take a look at our Virginia Elopement Package and make the most of your special occasion! Once the warm weather rolls through, it’s time to get outside for a variety of adventures. Go sailing, tour local vineyards, and maybe do some sunbathing by the pool. Temperatures vary from the mid-eighties to lows around 60 degrees. Feel free to beat the heat with several enjoyable water activities right near our inn! You can even pack up your tackle box and head over to the Rappahannock River for unbeatable fishing adventures. Visit at the end of April to participate in the annual Spring Oyster Crawl! Pair your fresh, local oysters with wines along the Chesapeake Bay Wine Trail. Make sure you stop by The Dog and Oyster Vineyard for our award-winning wines and tasty creations at SIP, our oyster stand! When it comes to fall foliage, Virginia’s Chesapeake Bay is unmatched. The autumn leaves transform into a variety of vibrant colors, creating the perfect backdrop for any vacation. Fall in the Northern Neck is a dream for avid hikers and nature photographers! It’s also a fantastic time to get active and play a game of tennis or golf. We have top-notch golf courses nearby for you to practice your swing! In the fall, you can look forward to the Bay Seafood Festival! Come and celebrate this annual festival in October with delicious seafood. It’s been a local favorite for over 25 years and raises money for a variety of non-profit organizations in the area. 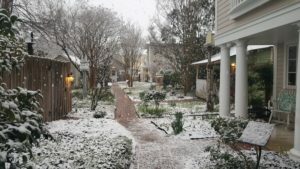 Wintertime in the Chesapeake Bay region brings its own beauty and unique opportunities. The average high temperature sits around 50 degrees, with colder evenings. Virginia state parks are open year-round, including Belle Isle State Park nearby! Dress in layers and head out for a serene hike in the crisp, cool air. It’s also an excellent time to try some of our local restaurants and browse nearby shops! 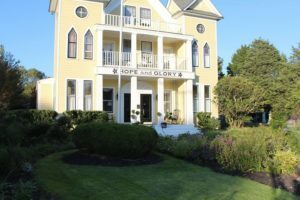 Stay at the Hope & Glory Inn and Vineyard and Experience It All! 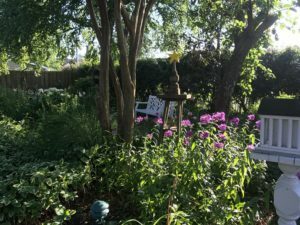 If you want to experience all of these activities and even more fun things to do, we encourage you to stay at the Hope & Glory Inn and Vineyard. We are in one of the most charming, romantic regions of the country, making our property perfect for romantic and relaxing getaways. Simply put, we offer things that other inns can’t. In addition to our vineyard, True Love boat, and expertly-designed guest rooms, we provide superb amenities to exceed your expectations. Enjoy complimentary bicycles and explore the nearby area, get a good night’s rest in luxury bed linens, and wake up to freshly-prepared breakfasts. The list goes on and on! Once you stay with us once, you’ll want to keep coming back! Get started on your trip to Irvington in the Chesapeake Bay region. Check our availability and book your stay today! We hope to see you soon.